Originally published under the title "Radical Islam Creates Terrorism. Why Should USA Give Islam Special Protection? Trump's a Buffoon, Cruz Is Fine: Daniel Pipes." This transcript has been edited for clarity and accuracy. Middle East Forum President Daniel Pipes: "Radical Islam is the problem and moderate Islam is the solution." 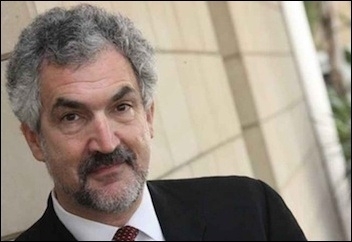 Daniel Pipes is founder and president of the influential American think tank, the Middle East Forum. As Donald Trump's recent remarks on Islam leave America in a tizzy, Pipes spoke in New Delhi with P Ramesh Kumar about US views of "radical" versus "moderate" Islam, whether America's added to religious extremism globally – and who he's backing in the US presidential contest. Please tell us about your organisation. The Middle East Forum was founded in 1994. We have three main activities: intellectual, or guiding people on how to win, for example, in Syria; operational, which includes activities on campus, in Congress or the courtroom; and philanthropic, raising money for allied individuals and organisations. A think tank is applied scholarship, just like engineering is applied science. We do applied history, politics, and so forth. I'm a medieval historian by training – I apply my knowledge of west Asia's past to current circumstances. We provide ideas and information to the public and to policy makers. Your organisation is termed Islamophobic by some. It's a silly accusation. For more than a decade, I've said that "radical Islam is the problem, moderate Islam is the solution." As that implies, I do not fear or hate Islam. But I do hate a certain extremist form of Islam – just as many Muslims do. I work against that radical version of Islam. But some analysts are deeply critical of your views on Islam – given the current political backdrop, how do you define your position? In the US today, there are three major positions vis-à-vis this issue. The establishment position says the problem is terrorism or violent extremism – in other words, it has nothing to do with Islam but comes out of nowhere. That's the position of politicians, police, prosecutors, press, and professors because it's easier not to talk about Islam. The other two positions agree it has something to do with Islam – with one important difference between them. Mine, the second position, holds it is a form of Islam – but not Islam in its entirety. Only anti-Islamist Muslims can defeat this form of Islam and we should work with Muslim allies to defeat Muslim enemies.. The third position says Islam itself is the radical version.. It confuses the temporary with the permanent, the part with the whole. You make a distinction between radical and moderate Islam – but your position on issues like the Muhammad cartoons controversy hasn't clearly supported moderates. Could you explain? In the West, we have freedom of speech that very much includes the right to blaspheme. If you want to make fun of Moses, Jesus, Ganesha, or Buddha, you're free to do so. But when it comes to Muhammad, the rules are different. I reject that discrepancy and insist on the same rights regarding Islam. 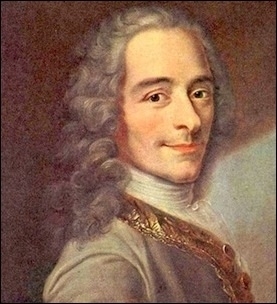 In the West, the right to attack religious figures has been established since the time of Voltaire in the 18th century – Muslims need to adapt to that. In the US, you may burn a Bible – but burn a Quran and you get a call from the president telling you not to do that. If Islam gets special protection, it means it's superior. I – and many others - don't accept that. But in a global context, hasn't the West's often contradictory policy created an environment conducive for ultra-extremist groups like Islamic State? There's a tendency in west Asia to blame western powers for whatever happens – be it as large as Islamic State or as small as a traffic jam. In contrast, I hold that the people of west Asia make their own destiny, they are responsible for themselves. Yes, the US, Britain, and others do have some role but it's small compared to that of the west Asians themselves, who must learn to own their problems. Didn't the West stoke extremism by propping up Osama bin Laden during the Soviet invasion of Afghanistan? The US government did not support Osama bin Laden during the fight against the Soviets in Afghanistan. I challenge anyone to show otherwise. Speaking of support, who are you backing in the US presidential race? I'm against Trump – he's a buffoon, a megalomaniac, and unacceptable. I'm against Hillary Clinton – the whole Clinton apparatus is repugnant, dishonest and greedy. I'm against Sanders who is resurrecting failed nineteenth century socialist ideas. That leaves Cruz. I generally agree with his views and consider him a fine human being.